I've seen people on social media lately talking about searching in newspapers. Digitized newspapers where you can do a full-text search are wonderful! I've made so many discoveries using them. But the search strategies we use for a database (like a census index) usually don't work for a full-text search. Databases use what's called "fielded data." Specific types of information are put into specific fields. In the case of a census index, the surnames are in one field, first names are in a different field, age is in another field, etc. The data is nice and organized. 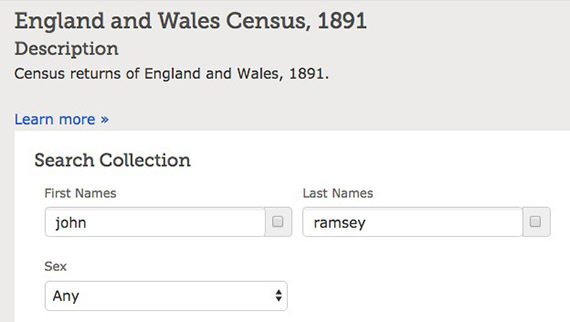 In this search form on FamilySearch to search the 1891 England census, I can search for John Ramsey and it will look specifically in the first name field for John and the surname field for Ramsey. It won't look for anyone with the surname of John or the first name of Ramsey. It also won't search in the location field for either of those terms. Fielded data makes it easier to manipulate the data. We can do things like wildcard searches or give a range for the birth year. 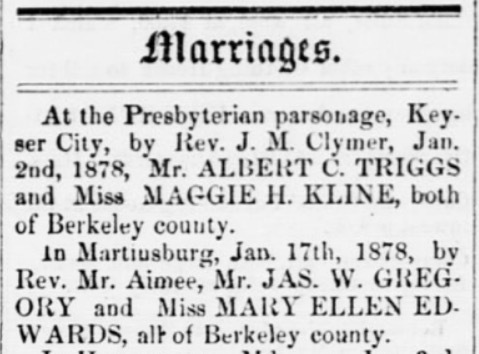 Shepherdstown (West Virginia) Register, 2 February 1878, page 2. Image courtesy Chronicling America. The newspaper is searchable, but it is a full-text search. If I had searched for Margaret Kline, it would not have found this entry. Full-text searches look for matches of the character strings. Margaret is not the same as Maggie in a full-text search. Similarly, if I had searched for James Gregory, it wouldn't have found the second announcement because James does not equal Jas. Searching in digitized texts, like newspapers, isn't the same as searching in a database. Full-text search also has the challenge of words being in any context. A search in a newspaper for John Ramsey could bring back references to people with the last name of John, references to Ramsey County, etc. 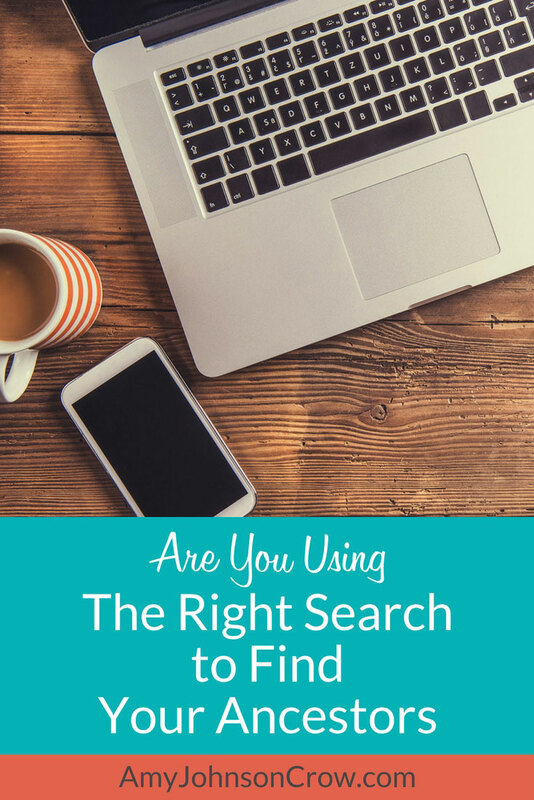 Want to get more from your online searches? Click to get a free copy of my guide "5 Online Search Strategies Every Genealogist Should Know"
When you're searching anything, not only do you need to consider if it's fielded data (like a census index) or digitized text (like a newspaper or yearbook); you also need to consider what it is that you're searching. What is included? 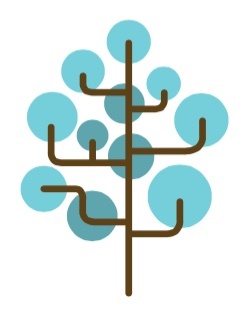 A common mistake is to treat a library catalog like you would search on a genealogy website. 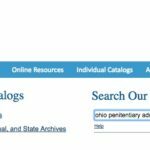 An online catalog is not the best place to search for a specific name. Catalogs don't include all of the names within the book; catalogs list what the book is about. 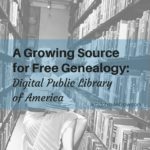 Online resources open up countless opportunities for our genealogy research. We can get the most out of them when we match our search to what it is we're using. Consider if it's fielded data (like a database) or digitized text (like a newspaper). Also change your strategy when you're using library catalogs. You'll end up making more discoveries. 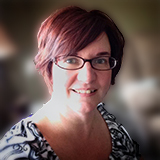 This entry was posted in tips and tricks, websites and tagged catalogs, databases, libraries, newspapers, searching, websites by Amy Johnson Crow. Bookmark the permalink. This is very helpful, Amy. Thanks for sharing. Thanks for reading! I’m glad you found it useful. 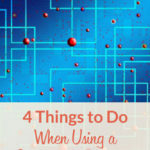 Another great blog post! Imagine my “hits” when i search for my ancestor with the last name “Loving.” LOL. Luckily, this family has been well-documented by others, once I got past a few generations! I found the post useful as well. I’ve had particularly good results on Internet Archive because you can do both metadata searches and full-text searches. I had no idea of the differences. 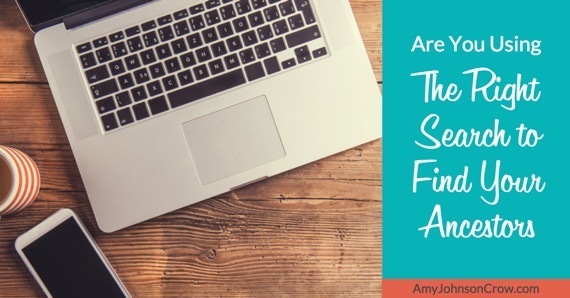 Thank you Amy for a very helpful article! You’re quite welcome! I’m glad it was helpful. This is true but often not a problem as most search engines will perform page-ranking calculations and display pages with “John Ramsey” higher in the search results than one that references someone with the last name of John and “Ramsey County” somewhere else on the page. So, yes, it will be in the search results, but probably on page 10 rather than a much better hit on page 1.
i.e. Searching for “John Ramsey” on Google it reports that there are “About 82,800,000 results (0.69 seconds) “. But because of page-ranking the better results float to the top and we normally don’t care about search results past page 1 or 2. I’m referring to full-text searches (like newspapers and books that have been OCR-ed). While some sites and databases that use full-text searches will bring back the more relevant results first, many will not.